As of the 23rd of February 2015 Mortons Dairies are delighted to announce that we will become one of the main suppliers of fresh milk to Virgin Trains on the West Coast Mainline. In a move to support local British Dairy Farmers, Virgin Trains is to stock regionally sourced fresh milk on all of its trains with Mortons Dairies stocking its West Coast mainline Trains. 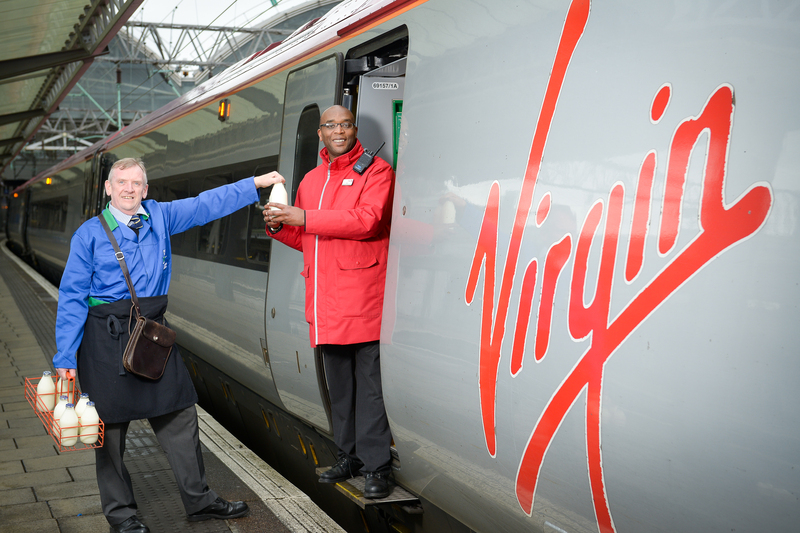 Over the course of a year, more than 300,000 Litres of fresh milk (Equivalent to 528,000 pints) will be used across the 300 Virgin Trains services that run each day to be enjoyed by passengers in their teas & Coffee. We are thrilled that Mortons Dairies have been chosen to support such a high profile company like Virgin trains and that Virgin recognise the need to support local Farmers & Businesses alike. By choosing Mortons, Virgin will achieve local sustainability and also a reduction on Carbon Footprint to which is important to Virgin, the environment and ourselves.